Over 200 employees working on Apple’s self-driving cars project, code-named Project Titan, have been laid off. The move is being positioned internally as an “anticipated restructuring,” according to the earliest reports, though it’s not immediately clear that the job losses were actually expected by the people who were laid off. Apple has been working on a secretive initiative to develop an autonomous car since 2014 and rumors first started to leak out the following year. The tech giant has reportedly recruited a number of engineers and executives from car companies including people like Doug Field, who defected to Tesla before rejoining Apple in August of 2018, but details about the project have been sketchy. The trillion-dollar company was initially believed to be building an actual car and perhaps even a minivan, but according to the latest rumors, the folks at Cupertino might only working on the software for futuristic cars. No one outside of Apple knows for sure. Apple did not immediately respond to Gizmodo’s request for comment but did provide a statement to CNBC about the layoffs. “We have an incredibly talented team working on autonomous systems and associated technologies at Apple. 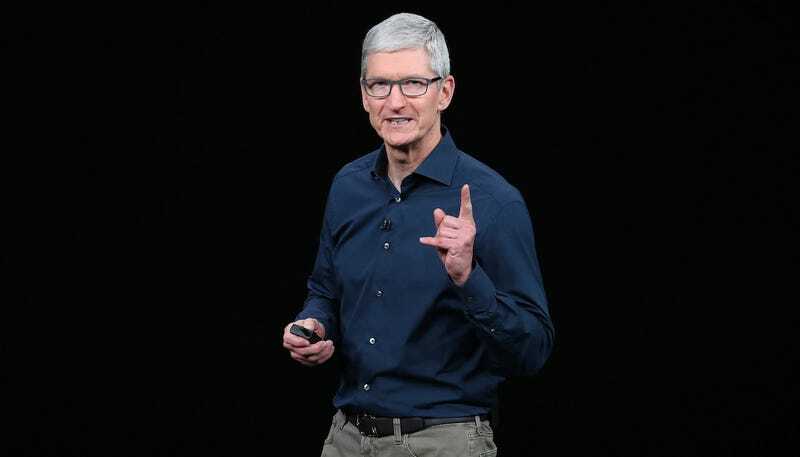 As the team focuses their work on several key areas for 2019, some groups are being moved to projects in other parts of the company, where they will support machine learning and other initiatives, across all of Apple,” an unnamed Apple spokesperson told CNBC. The most insight we’ve gotten about Apple’s “iCar” has been from public filings and applications for permits with the state of California. One of Apple’s test cars was also involved in a minor accident during the summer of 2018. And we’ve gotten bits and pieces from a lawsuit involving a former engineer at Apple who allegedly stole trade secrets about the company’s autonomous vehicle plans and shared them with a Chinese startup called XMotors. But most of the juiciest details have been sealed by the court, as you might expect. Apple isn’t quite as secretive as it was under Steve Jobs, but the company has still managed to keep leaks to a minimum when it comes to its long-term goals for self-driving cars. Self-driving vehicles have shown tremendous promise in the past decade, as more and more companies get in on the action. But so far, Americans have become more skeptical of self-driving cars and the most ambitious timelines have fallen short. Back in 2012, Google’s Sergey Brin predicted that the average American would be riding in autonomous cars in five years or less. Seven years on, we’re still waiting. If you know anything specific about Apple’s Project Titan (or the recent layoffs) you can send tips our way: novak@gizmodo.com. Trump Administration to Driverless Car Makers: Go Nuts!